Follow the White Bunny: Princess Embroidery Panel on Pre-order! 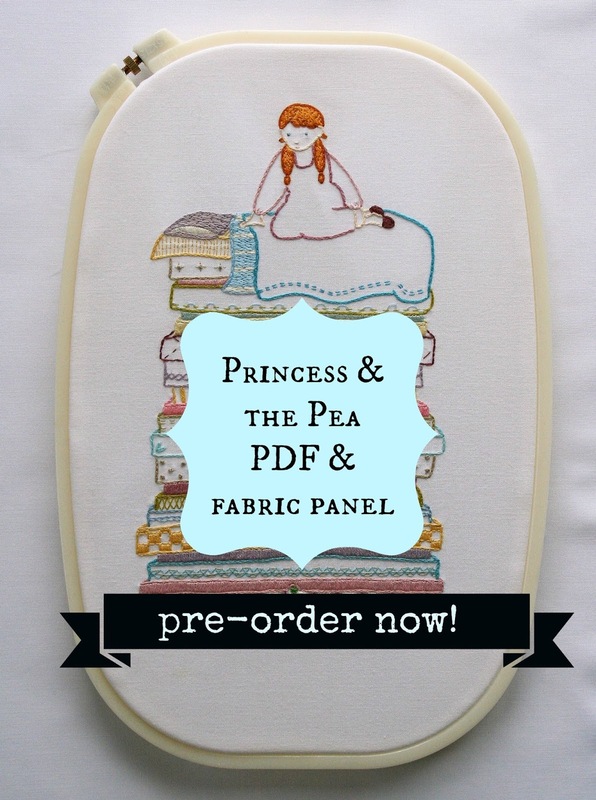 Princess Embroidery Panel on Pre-order! Hello! Just a quick note to let you know that I will have my Princess & the Pea pattern available as Embroidery panel soon. You can pre-order it now and I'm hoping to ship the panels some time mid to late September. That should leave you plenty of time to stitch up a lovely Christmas present with this pattern...The PDF (with stitch and colour key) will be available for download immediately so you have time to gather your supplies before the mailman arrives with your panel :) I have very limited stock to start with so order your panel now!